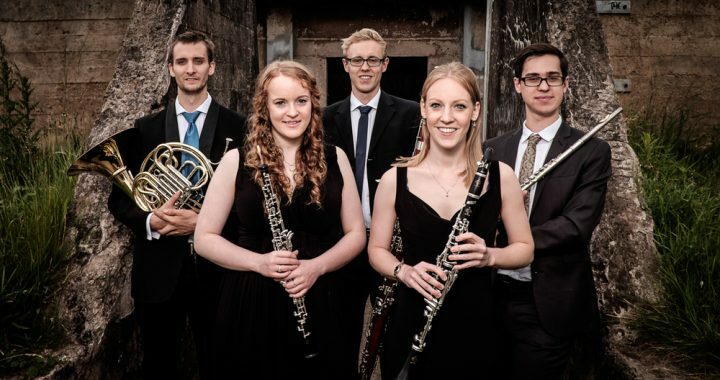 Formed in 2012 at the Royal Conservatoire of Scotland, Sirocco Winds are a dynamic and professional wind quintet. They pride themselves on being a young, enthusiastic and vibrant group. Its members are current Masters students or graduates from the RCS and, although based in Glasgow, its members come from all over the UK. 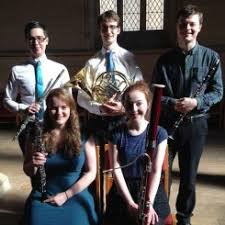 Highlights for the group include winning the Governors’ Recital Prize for Chamber Music at the Royal Conservatoire of Scotland, being invited to perform at the Emerging Artists series at Edinburgh’s Usher Hall, and playing live on BBC3 and BBC Radio Scotland. Their programme will include works by George Frideric Handel, Jacques Ibert, Nino Rota, Jim Parker, Leonard Bernstein, Claude Debussy, Malcolm Arnold and Modest Mussorgsky.